Uploading your own icon is a way for you to visually identify your workspace. Use a solid background color. Use a graphical logo or image rather than text. Upload an image that is 36px square or larger. 1. 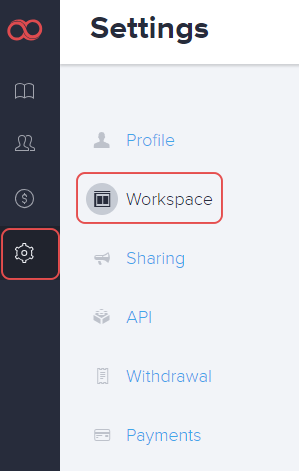 Go to the Account setting > Workspace. 2. Click the UPLOAD button and choose the icon. 3. After the upload is complete you'll see the preview of your logo. You may resize, move and crop it to fit your needs. 4. Click the CHANGE LOGO button when you're done. 5. If you wish to remove the uploaded logo just click the Delete button.